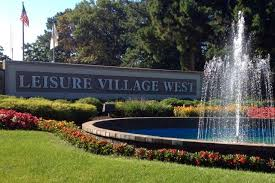 Leisure Village West has two golf courses for residents to enjoy and other amenities spread throughout the community. Willow Hall is the main recreational facility at Leisure Village West. Club Encore is a recreational hall that contains many amenities and activities to keep residents busy. Leisure Fair is the smallest of all three clubhouses and is the perfect place for planned activities and events.